Made a stop at the Greenburgh Nature Center in Scarsdale, NY this weekend. Had some nice wooded trails, a pond full of turtles, and lots of live animals, many that you can hold. 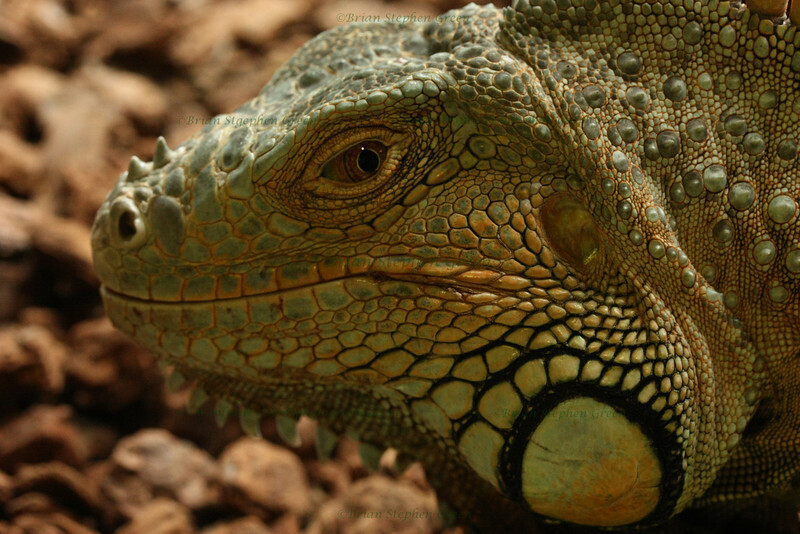 This green tree iguana was one of my favorites from the visit - he was in a big open tank allowing for easy closeups. Hope everyone had a great Monday - time to catch up on comments :) Have a wonderful day! Gorgeous shot - looks a bit like some of our critters ! You really were close to me if you visited Bowman's Hill...I live in Bucks County about 30 minutes south of the New Hope area..actually, we crossed the Delaware for dinner tonight and ate at "It's Nutts".. a very cool little hole in the wall kind of place on Rte 29, I think...the main road from Trenton to Lambertville on the Jersey side... Great ice cream, too! Absolutely wonderful shot, fantastic detail and dof. Super catch. Great details, especially the eye.